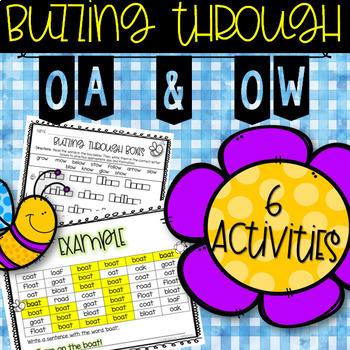 Long O (oa & ow) Worksheets: Grab these SIX no-prep and engaging phonics activities! 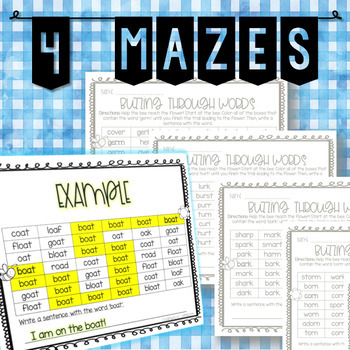 On FOUR sheets students help guide the bee to it's flower by highlighting or coloring prompted words. 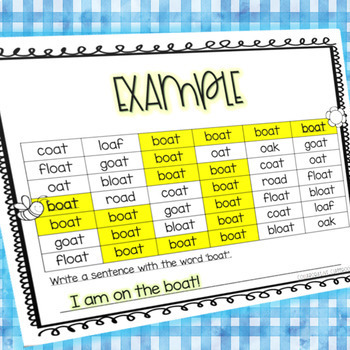 After finding the correct trail, students write a sentence with the word at the bottom of the sheet. 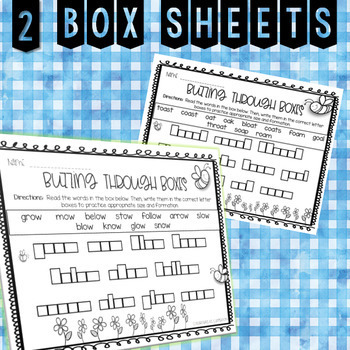 On TWO sheets students write long o words into word boxes. For a closer look, check out the preview or thumbails!